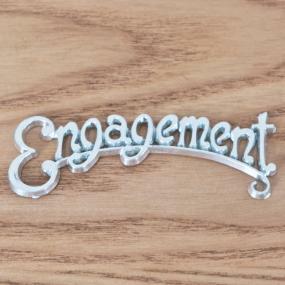 Engagement script cake decoration in shiny silver plastic. Measures 7cm wide x 2.2cm high maximum. Delighted . I had searched everywhere for one of these - so now I have one!! 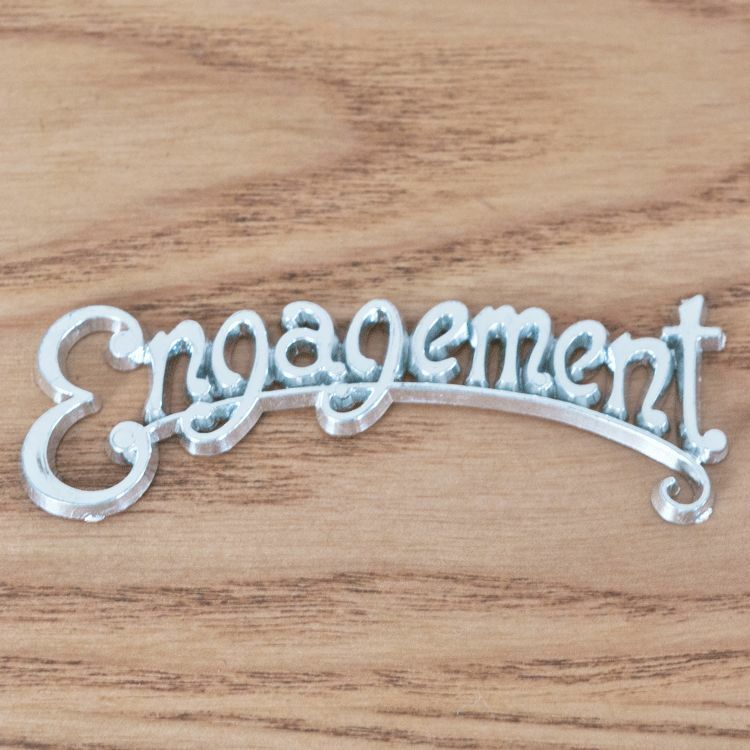 Would be good if you offered a larger sized option for both the silver word and the white roses.